With wrong food choices, inactivity, stress, pollution, and smoking a lot of free radicals get into your body and disturb the bonding of electrons within the cells. These free radicals look for electrons from healthy cells and take away electrons from cells that are bonded with two electrons and make them free radicals and trigger a chain reaction to other cells. This process keeps repeating and cause cell damage, cell death, fatigue, and accelerated aging. An elevated oxidative stress load is a contributing factor to many chronic diseases such as cancer, arthritis, cardiovascular diseases among others. The oxidative stress is caused by poor eating habits, too much of sugar, smoking, processed food, stress, improper sleep, and too much of exercise. 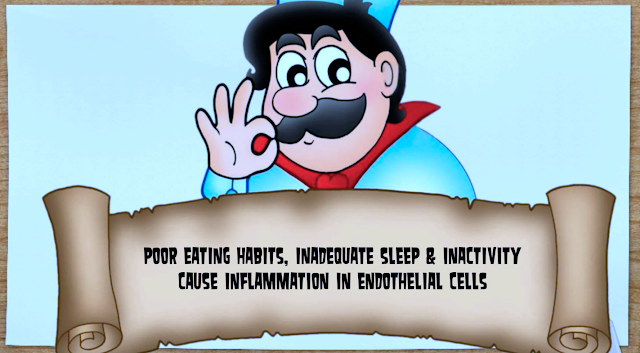 With oxidative stress, the endothelial get damaged and the body’s natural defense mechanism is inflammation. It reduces the production of a very important molecule called nitric oxide. Nitric oxide is a molecule that signals your arteries when to dilate. So, when you have less nitric oxide in your blood vessels, you will have high blood pressure. High blood pressure is the leading cause of many cardiac diseases such as clots, stroke, and cardiac arrest. 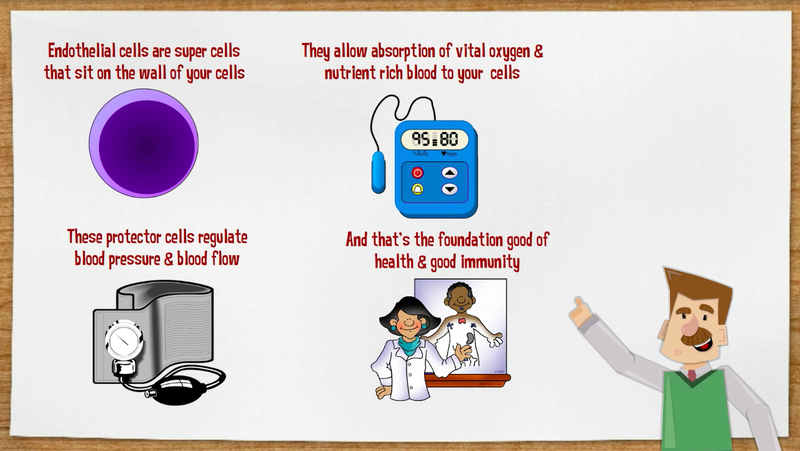 So, how do you improve the health of these endothelial cells? 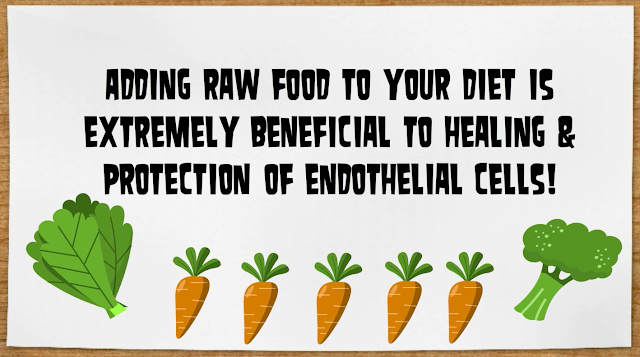 The addition of raw of foods into your diet could be handy. Most of the nutritional value of your cooked food is very low. We live in a world where most of the soil is depleted; which means, a plant that grows from a depleted soil is also depleted in nutrition. 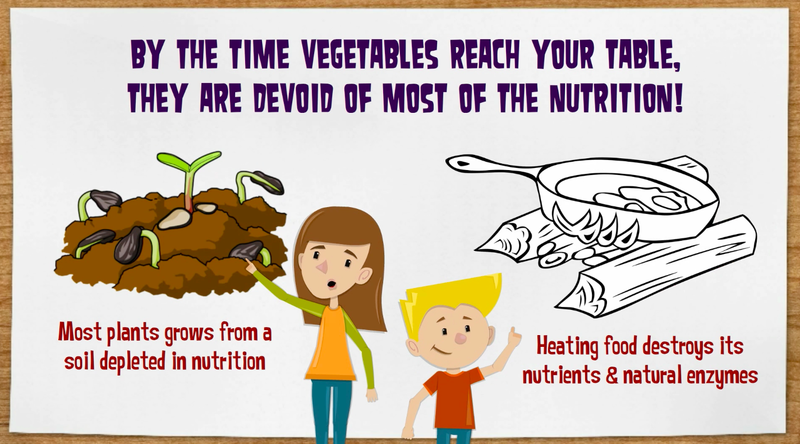 By the time a bunch of vegetables reaches your table, they are devoid of most of the nutrition. On top of that, you cook it, steam it, or fry it - we kill most of the nutrition. Doesn’t mean you replace your food with raw food items. The lifestyle change we all should aim at is to have some raw food with every meal we eat, i.e., give yourself some cooked food and also give yourself some raw food so that your body gets live enzymes that do most of the repairing job in your pancreas, endothelium, and your entire body. This means better digestion and better absorption of nutrients. We all know that it’s not about what we eat, it’s about how our body breaks it down. So, try adding some fruits to your breakfast along with your cooked food. Similarly, have some raw vegetables as part of your lunch along wth your cooked food. Likewise, for dinner, you could include a glass of vegetable juice or a bowl of salad or fruits. The idea is to include a proportion of raw food into your each meal along with your cooked food. A good proportion would be 50% raw and the balance 50% cooked. 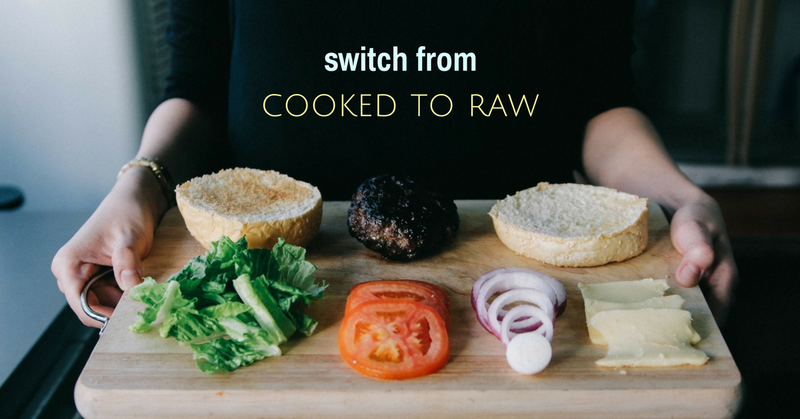 Probably, you can start with 30% raw and 70% cooked. Even if you are eating junk food, try having some raw food before you eat them as your junk food does not have any nutrients in them. This way you strike a good balance. Try bringing in this lifestyle change and you will notice your overall health start falling in place. Weight loss is not about dieting or burning calories, it’s about good chemistry and good communication between your cells and your hormones. 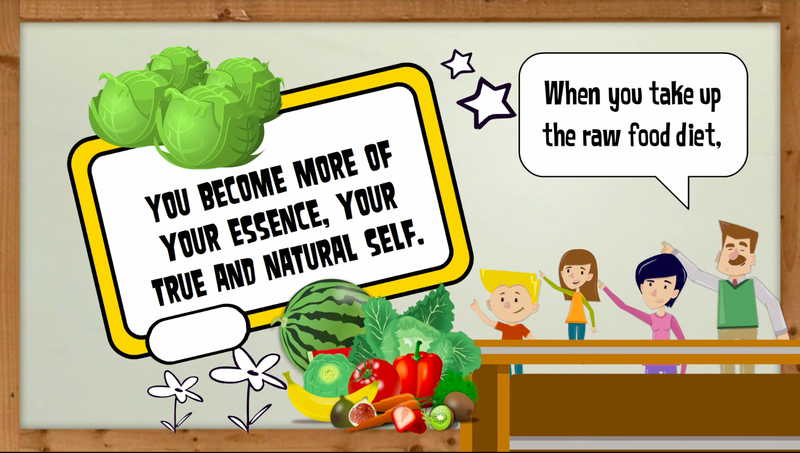 When you take up the raw food diet, you become a new, different and better person. You don’t just stay the old person or become only a little healthier. You become, to a great extent, a new being with new interests, a new philosophy & outlook on life, new goals, and desires. You become more of your essence, your true and natural self. Save your endothelial cells with every bite you take!